The Impossible Burger on Air New Zealand flights is giving Business Class passengers a taste of the future. 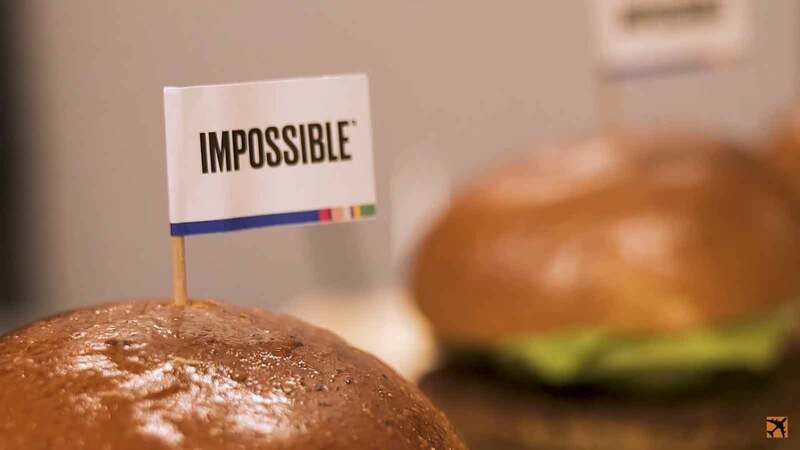 The airline has a new inflight collaboration with Silicon Valley food tech start-up Impossible Foods. Air New Zealand is the first airline in the world to serve the award-winning, plant-based Impossible Burger which is now available as part of its Business Premier menu on flights from Los Angeles to Auckland. Impossible Burger’s magic ingredient is an iron-containing molecule called heme which comes from the roots of soy plants. The heme in the Impossible Burger is the same as the heme found in animal meat. The result is a plant-based burger patty that cooks, smells and tastes like beef but contains no animal products whatsoever. Air New Zealand’s Inflight Customer Experience Manager Niki Chave said the airline has been watching Impossible Foods for some time and has been impressed with the work it’s doing. Impossible Foods CEO and Founder Dr. Patrick O. Brown said the company’s mission is to make the global food system more sustainable. They will do this by making products that don’t compromise on sustainability, nutrition or taste. This veggie burger has caused issues in New Zealand. Prime Minister Winston Peters sees this new synthetic meat burger as a threat to the New Zealand’s beef industry. Air New Zealand will serve the Impossible Burger on flights NZ1 and NZ5 from Los Angeles to Auckland. The burger will be available from July through until late October 2018.